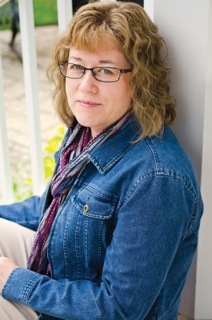 Today, I am happy to welcome author Cindy Thomson to Outtakes as she introduces her latest release, Annie’s Stories. Here, she draws parallels between L. Frank Baum’s beloved story and immigrants’ experience in America. Did you know it’s the 75th anniversary year of the movie The Wizard of Oz? 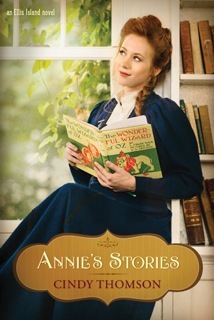 Truthfully, I did not know Annie’s Stories would be published in 2014 when I came up with the idea of having a character read the book (which was first published in 1900) and compare her life with Dorothy Gale’s. I was just looking for what was invented or introduced during the time period I wanted to write about, which was the time of mass immigration through Ellis Island. Baum went on to write a series of Oz books, and the Wonderful Wizard appeared on stage just a few years after the book came out. The story was overwhelmingly popular and has resonated with the public for over a hundred years. We never tire of it, and that made me wonder why. 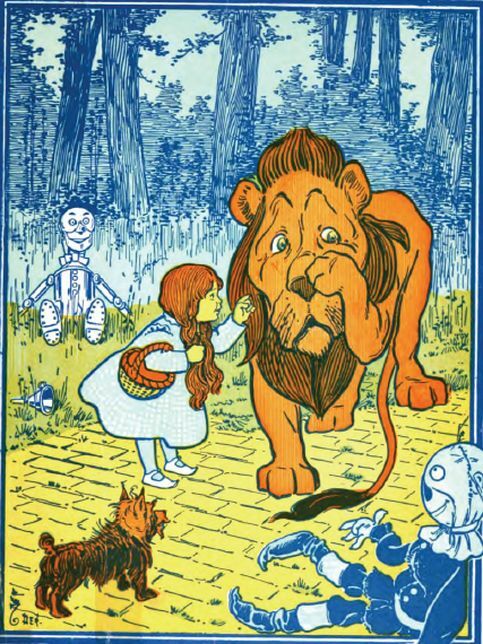 As I considered this, I realized that the story about Dorothy leaving the gray world of Kansas for the colorful, adventurous world of Oz speaks to the wandering nature of many immigrants. These people wanted more than what they had. Whether they left their homelands by choice or were forced out, for them America held the dream of improving their circumstances. Finally, after all the misery and disappointments in their lives, the brass ring was in sight. Dorothy Gale wanted to go back home but only because she wanted things to be different than they were before the cyclone hit. And like the characters in Baum’s tale, the immigrants to America discovered things about themselves along their journey: they were survivors, they were inventive, they had more hope for the future than their circumstances seemed to warrant. It was this underlying desire and drive that fascinated me and compelled me to write about these immigrants, the ancestors of many of us. In my Ellis Island series, the characters are escaping terrible circumstances only to discover that America presents its own challenges. It’s a message I believe all of us can embrace. 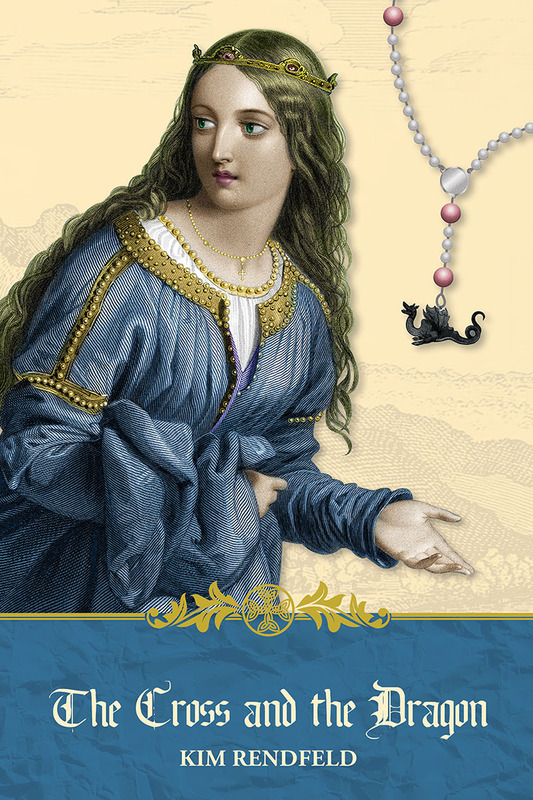 Cindy Thomson’s newest historical novel, Annie’s Stories, releases in July 2014. The series began with Grace’s Pictures, June 2013, published by Tyndale House. 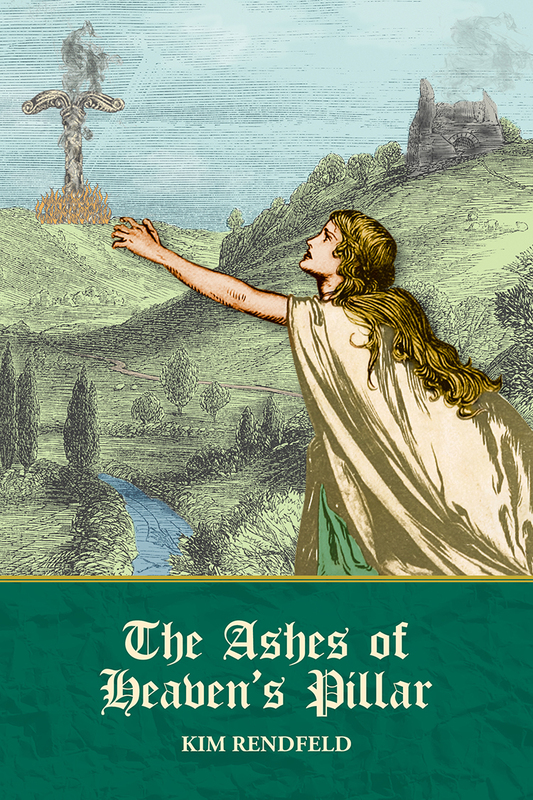 She is also the author Celtic Wisdom (Lion Hudson), Brigid of Ireland, A Historical Novel, (Monarch Books) and co-author of Three Finger: The Mordecai Brown Story, (University of Nebraska Press). She is also a mentor in the Jerry B. Jenkins Christian Writers Guild. Her interests include genealogy, history, and baseball. Sharing the legacies of faith left by those who went before us is her passion. She has spoken to book clubs and other small groups and enjoys appearing at several large Irish festivals across the country. Visit her at cindyswriting.com.